The unpredictable winter weather across the east coast has continued into spring, and some may call that a reason to put off travel and vacation. In Lancaster County, the opposite couldn’t be any more true. Not only does Lancaster County offer enough Amish history and outdoor farmland for multiple trips, but it includes a variety of indoor museums for a fun, interesting, and weatherproof vacation. The Railroad Museum of Pennsylvania may come across as an exhibit aimed directly at train-enthusiasts, but in reality it is an easily digested, yet mind-boggling experiment in scale and excitement. 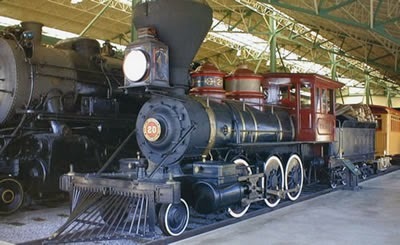 Having experienced the Railroad Museum of Pennsylvania myself (and still waiting to go back), I can confirm that literally anyone will instantly appreciate the impressive restoration of more modern trains, along with many from the late 1800s and early 1900s. The standard amount of time it takes to view the 100,000 square foot exhibit is about two hours, but if you’re anything like myself then you may be inside for up to four hours. The National Museum of Pennsylvania is open from 9 AM to 5 PM on Monday through Saturday and 12 PM to 5 PM on Sundays. Admission is $10 for adults, $9 for seniors, and $8 for children (up to age 11). It is located at 300 Gap Road, Ronks, PA. If trains don’t pique your interest, then the National Watch & Clock Museum has exhibits surrounding a concept that involve everyone: time. 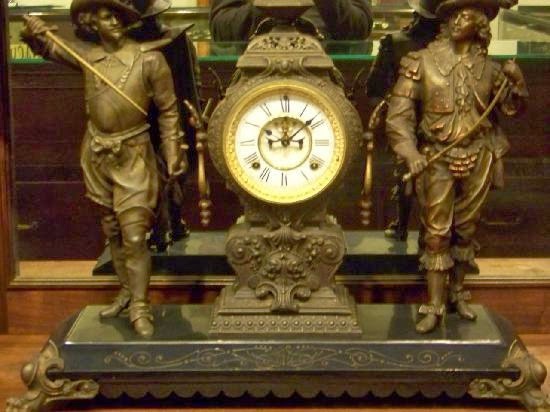 Located at 514 Poplar Street, Columbia, PA, the National Watch & Clock Museum began as a modest establishment in 1977 with less than 1000 items, but today it has a massive collection of over 12,000 items within its expanded exhibit space. Not only does the museum tell the story of timekeeping, from ancient timepieces to the modern wristwatch, but it includes some very familiar pop-culture exhibits like “James Bond Watches: A 50-Year History.” This exhibit includes the creator of James Bond, Ian Fleming’s, Rolex Explorer, the same watch worn by Bond himself. The National Watch & Clock Museum is closed every Monday and Sunday until March 31, but April 1 will resume Sunday hours. They are open from 10 AM to 5 PM on Tuesday through Saturday, and 12 PM to 4 PM on Sundays beginning April 1. Admission is $8 for adults, $7 for seniors, and $4 for children up to age 16. Lancaster County is an area with seemingly unlimited options for entertainment, and these local museums are no exception. Pair these historic exhibits with the luxurious, welcoming, and equally historical inns of Authentic Bed & Breakfasts of Lancaster County and you have the recipe for a perfect weekend.